The Tignes Chalet Company Blog - Chalet Accommodation Tignes: Fancy a ski this summer? With a wealth of summer activities in Tignes you would be forgiven for packing your skis away until next winter. On the other hand... if you fancy carving a few summer turns or even working on your technique a little then the Grande Motte glacier is the place to head. And after a bumper winter conditions are set to be pretty good up there! There are approximately 20km of pistes including a snowpark to hone freestyle skills and cross-country skiing area for those feeling of you feeling a little more energetic! 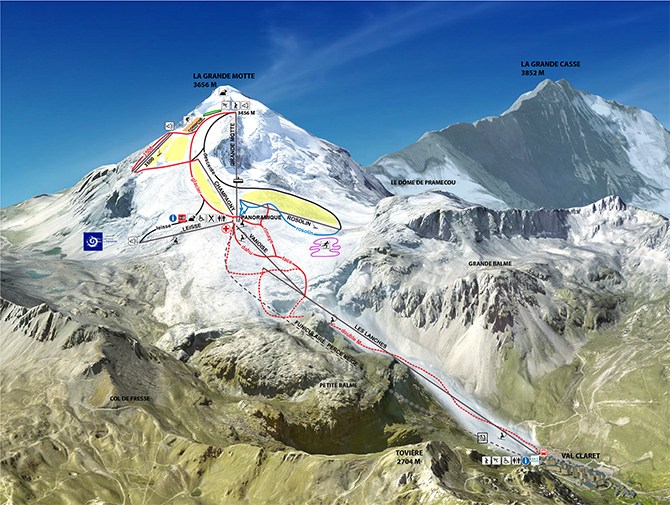 Grande Motte opening dates: June 25th to August 7th (7:15 to 13:00 each day). 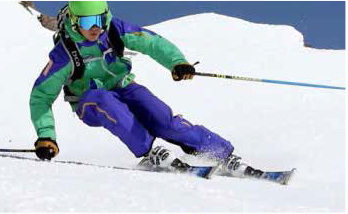 Be it in the saddle on the skis, we will look forward to seeing some of you out there this summer. I want to learn how to ski since I was young, but every winter I delay it for the next one. This winter I made a decision and searched for the best way to combine my vacation and ski lessons:http://www.pistepals.co.uk/ I'm very happy with the results and personally recommend it to you. We're getting ready for the new season, are you? What have Tignes got planned for New Years Eve?